Taxi 9000 has been providing Bismarck with quality and reliable transportation since 1960. Taxi 9000 also provides drivers with benefits, competitive wages, and flexible schedules. talented staff. 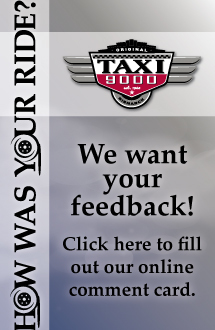 Taxi 9000 is dedicated to quality service and serves over 10,000 customers in the Bismarck metro area. Call today to experience our courtesy, reliability, and quality. full or part time positions availble.